Here are some online live events you should catch this week! 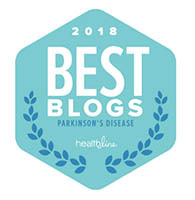 If you follow this blog, you know that I have been actively posting on the new Health Union site, www.ParkinsonsDisease.net. What you may not know is that this site recently made a rapid climb to 10,000 likes! Here’s where you come in—in honor of this success, you have the opportunity to vote for one of the fine charities below to receive a donation, if they win the vote count. Encourage your family and friends to vote as well. Vote today by clicking this link and scrolling to vote in the poll! The Parkinson Voice Project has launched a lecture series which features Parkinson’s experts talking about topics affecting our community. They hold this lecture each month and it’s live streamed for anyone in the world to attend. They also archive previous lectures so you can watch the lectures that are of interest to you. Visit https://www.parkinsonvoiceproject.org/ShowContent.aspx?i=1876 for more information about upcoming lectures and view previous presentations which include lectures on wellness, physical therapy, cognitive challenges, making a Parkinson’s diagnosis, and Deep Brain Stimulation. If you live in or near Virginia, I hope to see at the Virginia Education Day in Williamsburg on October 7th, 2017. I am a member of the planning committee. The event is being held at Fort Magruder Hotel and Conference Center. The Education Day is has a diverse mix of wellness information including presentations by physicians, people with Parkinson’s, caregivers, and allied health professionals. Click this link to see the conference brochure and click here to register for this event. Join Angela and me in November in Pittsburgh for their Living Well Conference 2017, where we will be presenting and facilitating two breakout sessions. Read this link for all the details. We would love to see you there! We will also be selling and signing our books and audio CD collection at both events—we hope that you can make it! I’m Back and Ready To Work–Lots of News to Come In the Near Future! Well, I am back from a brief hiatus! I am excited to say that I have loads to blog about and share–as well as a few surprises, coming soon! If you are in the Northern Virginia area, we would love for you to join Angela and me for our book signing at the Fair Oaks Barnes and Noble bookstore in Fairfax, Virginia on March 30, 2017 at 4:00 PM EDT! We would love to show you our latest book, Dealing and Healing with Parkinson’s Disease and Other Health Conditions: A Workbook for Body, Mind, and Spirit! Hope that you can join us! Thank you for reading my blog and your continued readership.There is much more in store–just you wait! The new proof of our second book arrives in the next few hours and I feel like a kid on Christmas Eve awaiting Santa’s arrival! If the proof checks out and it looks as good as I think it will, book number two, Dealing and Healing with Parkinson’s Disease and Other Health Conditions: A Workbook for Body, Mind, and Spirit by Angela and Karl Robb, should be available for shipping on November 1st, 2016! Dealing & Healing is a workbook for everybody and anybody dealing with a challenge in their life! Physical, emotional, spiritual–something in this book will resonate with you! Filled with over 100 eye-opening, expansive, and easy to follow exercises, devised for both individual use as well as support groups of all-kinds. 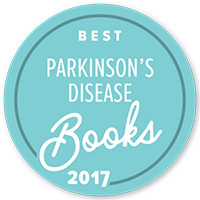 This book picks up where our first book, A Soft Voice In A Noisy World: A Guide To Dealing and Healing with Parkinson’s Disease, leaves off! This fresh new workbook offers some new tools to your ever growing toolkit. Get ready, get excited, and get Dealing and Healing! Dealing and Healing is available now for pre-ordering on Amazon.com and will be available wherever you like to buy your books, on November 1st! Stay tuned for the release and upcoming book signings across the country–if you would like to host a book signing, lecture, or meet and greet, please contact us at asoftvoice@robbworks.com. Introducing, Five or More…, a series leading up to the World Parkinson Congress 2016 in Portland–meet some of the Executive Directors and leaders in the Parkinson’s Community as they answer a range of some required questions and some optional: Polly Dawkins of The Davis Phinney Foundation, was kind to agree to go first. Here are eight questions. Five of them are encouraged that you answer. The remaining three questions are your choice whether you want to provide an answer or not. Thank you for being the first to try this experiment! I have known Polly since she started at The Davis Phinney Foundation and she has been a loyal follower of the blog. Do I have to choose? Love Asian food and my favorite is Japanese. Since that’s not the on list…if it’s a great Mexican place (like the food in the Yucatan Peninsula), that’s the food I’d choose. The spicier the better. And, Thai would be a close second. Grilled fennel, roasted garlic and mushrooms on an olive oil and light cheese base, topped with fresh arugula and shaved parmesan. Summertime is the only time of year for me. Montreal was my first Congress and Portland will be my second. What are you looking forward to most in Portland, (site of the WPC 2016)? Meeting with members of the Parkinson’s community in person, seeing old friends with whom we have worked, creating new partnerships/collaborations in the community and spending time with the Davis Phinney Foundation Ambassadors. I have the best job ever. You probably already knew that. I love to swim and ride my bike. You probably knew that, too. Something new and different? I love spending time in Latin America and speaking Spanish. Chile, Argentina, New Zealand, Norway (when it’s warm) and Botswana. What is the Davis Phinney Foundation working on that you would like to tell us? In addition to working on bringing The Victory Summit to Sacramento, New Orleans, SW Florida, Nashville, Durango and other locations yet to be announced, we are currently working on developing new content and launching a new website for the Davis Phinney Foundation, which should be up and ready by the time we’re all gathered together in Portland. As well, we are really proud of the quality of life research we’ve funded and what that has meant in terms of changing the way people approach living with Parkinson’s. As well, we are considering ways in which we can invest in quality of life research that have more direct impact on our programs and the Parkinson’s community as a whole.